O’ Aba 'Abdillah! Surely the tribulations are great and unbearable and your tragedy is great for us, and for all of the people of Islam; it is unbearable and great is your tragedy in the heavens and for all of the dwellers of the heavens. In this section of the ziyarat, we address our Imam (as) directly and recall the tragedies which befell him, and our grief and remorse at what occurred on the plains of Karbala. The historians have stated that from the first day of creation until the Resurrection comes, the tribulations which Imam Husayn (as) faced are the greatest and the most severe – and there is no other historical event which comes close to what he went through [events such as what transpired to the daughter of the Prophet, Fatimah az-Zahra (as) and her husband Imam 'Ali (as) are also tragic events in the life of the Ahlul Bayt and have their own ranking in terms of the tragedy and loss]. However, why such an emphasis on recalling this tragedy in this particular way and with such words? 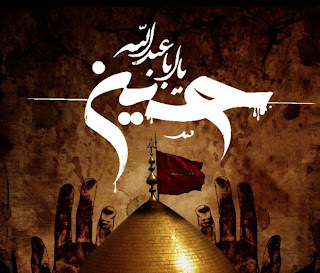 When we study the event of Karbala we see that no one was spared – the infant child, the young adults, the grown men, the elderly people and even the women of the camp! Not only were they murdered in cold blood, but even after their death, they were not shown respect and this is evident from the trampling of their bodies by the horses and their decapitation and parading through the streets of Kufah and Sham (present day regions of Syria, Jordan, Palestine and Lebanon)!